It’s that time again! Plans for holiday festivities are well underway as we add parties to our calendars, shop, and plan travel and family gatherings. For many, the planning and prep is the fun part while the family part can be a bit of a challenge. Others may be totally drained before the holidays actually begin from all the effort exerted to make everything “just right” for loved ones. Of course, surviving holiday gatherings can be challenging. We’ve all got (or may be) a crazy aunt or uncle waiting to jump out of one closet or another. 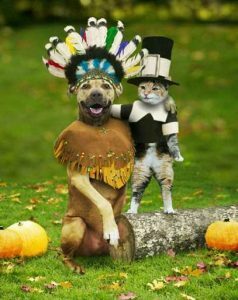 Our most colorful alter egos and archetypes may show up in full regalia at the most inopportune times. While these have the potential to be entertaining, they can also be the primary ingredients of a toxic cocktail when disproportionately blended. How about making some positively legendary Fun at your next family gathering? One way to begin is to consider why we bother to gather at all. A healthy reason and one of our most basic instincts as humans is our need to connect with others and engage in shared experiences. Play is how humans have connected and shared joyful experiences since the beginning of time. So let’s start there! Get out the games, the musical instruments, and your inner children. For starters, play that is inclusive and “purposeless,” rather than competitive, is more conducive to creating camaraderie and togetherness. Invite everyone to bring a game or activity that is appropriate for all ages present. There are numerous links online that will point you in the direction of family-focused games like this website, or this one or this one. The laughter that often accompanies play dissolves tension and elevates serotonin, which makes for a fun gathering. But beware of humor at someone else’s expense—that’s a toxic cocktail ingredient that elevates tension and may adversely affect someone’s mood. Or just be silly! 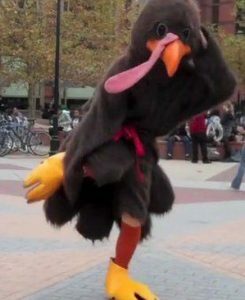 One of my favorite holiday memories includes my son’s Korean roommate teaching my family how to dance “Gangnam Style.” The experience was captured on video for an eternity of laughter. 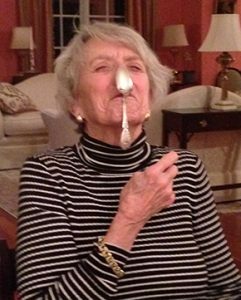 Another favorite was watching my mother master the art of balancing a spoon on her nose at our Thanksgiving Dinner! At the risk of sharing a family secret, my mother has a rock that looks exactly like an Idaho potato: We bake it in foil and give it to an unsuspecting guest. We’ve recycled that one for years, and it always gets a great laugh. Holiday gatherings with family are great places to cultivate the art of conversation. An easy topic that engages all ages and is quite possibly conflict free is play, itself. Ask the elders at the table to begin by sharing how they played as kids. It might even amaze the younger kids to learn that some of their grandparents didn’t have TVs when they were kids! Decks of Conversation Cards are also great ways to engage each other in light-hearted and unexpected ways. You can find cards tailored to specific age groups and holidays. Making your own cards is another fun approach—have everyone in the group write a question that is tossed in a basket to be selected randomly. Unfortunately, expectations and traditions that have little to do with supporting our need for shared connection often distract and exhaust us. When we are focused on doing all these things, it can be a real challenge to find time to enjoy being together. Consider simplifying the menu so cooking can be shared in the kitchen or ask folks to bring a prepared dish so more time can be spent visiting. Have a gift-wrapping gathering when the little ones have gone to bed. Turn on music and have a mini dance party in the kitchen to lighten the mood. Think of these as volatile substances that should be stored in a child-safe cabinet. 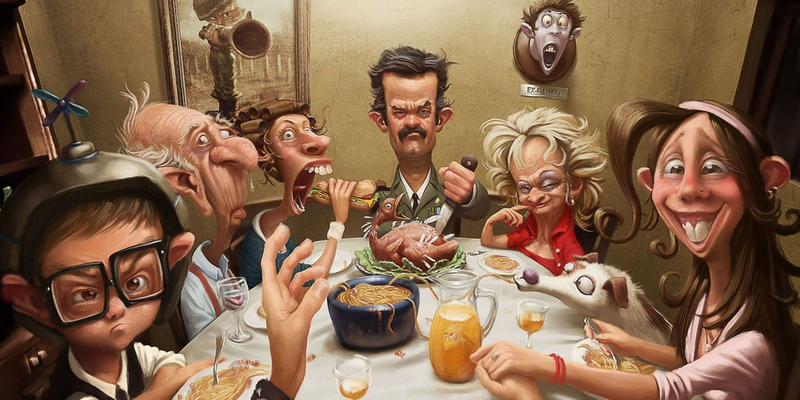 When we make a concerted effort to embrace an agenda of “How much FUN can we have?” and focus on uplifting each other, we might even forget that we ever had a dysfunctional family gathering! If you need more support for surviving your holidays, consider booking a fun coaching session. Our life coaches can help you develop playful strategies for engaging even the most stubborn curmudgeon. We can also work with you to develop a game plan for coping with (and reducing) holiday stress.